Are you a horror junkie or looking for something scary to watch this Halloween season? Here are five Japanese anime series guaranteed to send a chill down your spine. Japanese anime is a medium that has stellar titles in virtually every genre. One genre, though, that I believe that is filled with too many low-quality titles in both anime, television and film is horror. I love horror stories, but when I say “horror” I mean tales that actually inspire fear. Whether it be films, books, TV or anime, true horror doesn’t always require excessive gore, jump scares or even gratuitous violence. What it does need is to do is create a genuine, unsettling feeling of fear — and that is a difficult thing to do. When people know they’re reading, watching or playing a work of fiction it’s hard to get them to forget that it’s make believe. Making the reader, viewer or gamer forget the real world for a moment and truly be terrified is the art of horror. Recently, one horror series that did just that — becoming a big hit with Western audiences in the process — is American Horror Story. But with its own terrifying films like The Ring and The Grudge, Japan has a lot of scary titles that can compete with American franchises in the horror industry. Horror anime, however, are few and far between. So, if we’re going to compare Japanese shows with a current Western trend, then here are five rare anime titles that are just as scary as — if not, scarier — than American Horror Story or others of its ilk. Based on the popular Japanese horror video game series, Corpse Party, this anime follows the story of the first game. 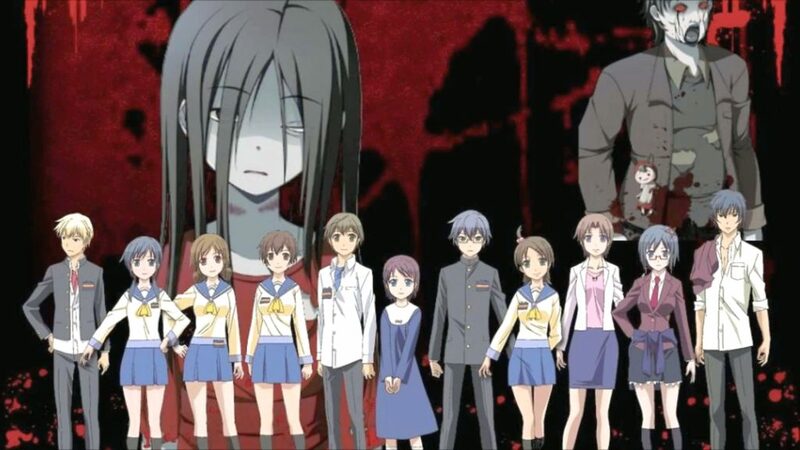 Corpse Party: Tortured Souls is about a group of high school students who invoke a friendship charm they found on the internet in hopes of making their bond last forever. However, as soon as they complete the spell, an earthquake occurs and they wake up hours later separated in a hellish and gruesome place known as Heavenly Host Elementary School. The school is locked by an invisible force and filled with dead bodies and evil spirits trying to murder them. Together they must discover and overcome the ghostly presence haunting the school or become victims themselves — doomed to wander the halls with the other spooks. Spanning just four episodes, Corpse Party: Tortured Souls is a short series that should please any horror fan. For those that have played the video game series, seeing full blown animated versions of the retro sprite characters from the original game will be a refreshing and nostalgic experience. Good for: Those who enjoy the gory and the grotesque as well as lovers of hauntings or demonic horror. Available on: Corpse Party: Tortured souls is available for purchase on Amazon Japan. Japan has a deep, rich history spanning thousands of years, spawning a plethora of old, historic and archaic buildings and spiritual sites. Such places make the perfect settings for a good ghost story — and many have been crafted with those locations in mind. With a culture that contains a mythos featuring many gods and the existence of yokai (spirits/demons), stories of hauntings and demonic activity just seem more believable when set in Japan. Another is exactly that sort of story. Based on an award-winning light novel of the same name, Another has one of the spookiest and spine-tingling plots of any anime I’ve watched. Set in Yomiyama North Middle School, a class suffers the tragic loss of one of their most popular students. Heavy with grief, they begin acting as if she were still alive. Unfortunately for them, their imagination becomes a horrifying reality as the ghost of their dead friend shows up in their class photo. After that, people in the class and related to the students begin dying in strange and painful circumstances. Will the protagonist, Koichi, find the true source of the phenomenon and rid the class of their curse or will all his classmates die in the process? Another is the epitome of the Japanese ghost story. Good for: Those who enjoy old fashioned ghost stories and horror with a bit of mystery. Available on: Another is available for purchase on Amazon Japan. While the series hasn’t really taken of in North America or with Western audiences as a whole, Higurashi no Naku Koro ni (“When They Cry”) is a series that received incredible praise in Japan. This anime actually began as an audio drama that in turn spawned a manga, a light novel, a video game and various anime adaptations. It follows Keiichi Maebara as he moves to a rural Japanese village where he joins a fun-loving group of friends. However, he learns that the village suffers from a murder or missing person every year on the day of the summer matsuri (festival), usually involving his own friends. … with its own terrifying films like ‘The Ring’ and ‘The Grudge,’ Japan has a lot of scary titles that can compete with American franchises in the horror industry. The artistic cunning of When They Cry comes with the dissonance between its style of art and the content. The anime features kawaii (cute) graphics and lighthearted playful scenes reminiscent of typical school time, slice-of-life illustration. However, those same adorably animated elementary school children are then depicted committing unspeakable acts of horror. When They Cry is not for the faint of heart but is for those who want to witness some true horror done anime style. 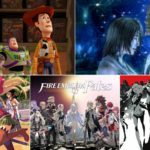 Good for: Those who enjoy artistic anime or stories with branching timelines or alternate dimensions. Available on: When They Cry is available for purchase on Amazon Japan or via Netflix Japan. 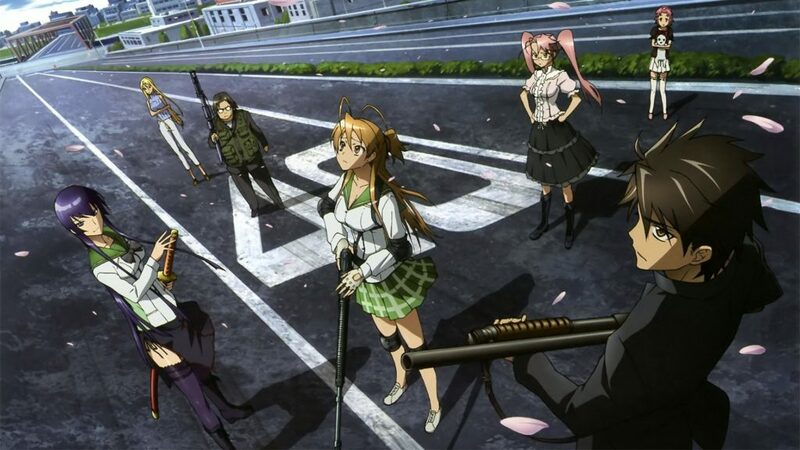 If you love the zombie subgenre, High School of the Dead is one of the best anime out there. Complete with the blood and gore typical of the zombie category, High School of the Dead manages not to go too over-the-top with its graphic scenes. As well as some grotesque moments, it must be mentioned that this one includes a sizeable amount of fan service (overly sexual scenes) that can distract from the greatness of the series as a whole. 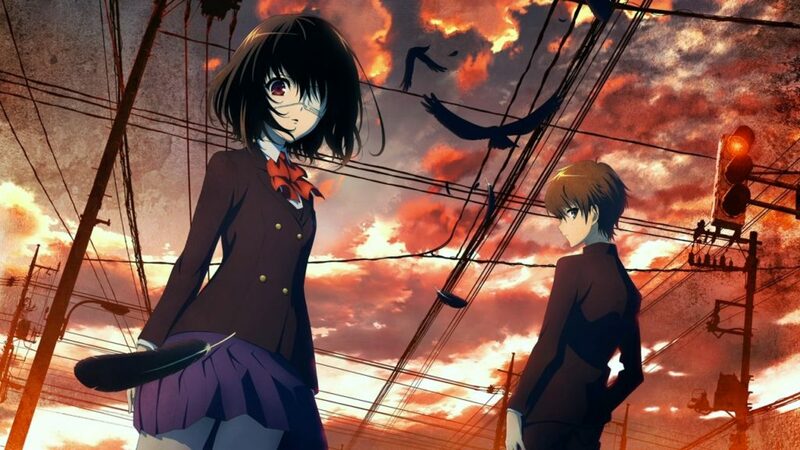 Amid the threat of a zombie horde plaguing a group of high school students trying to find safety and get back to their families, the real fear within this anime resides not in its zombie apocalypse scenario but in the downfall of humanity. High School of the Dead shows how tragedy can unite a mismatched group of unlikely friends while at the same time showing how fear and hopelessness can cause normal people to descend into madness. This anime was based on a widely praised manga written by Daisuke Sato. It’s short and sweet with only 12 episodes released. While fans have been crying out for a second season, Sato unfortunately passed away due to heart disease in 2017 and it is unlikely that the series will continue. Good for: Zombie lovers and those who seek out apocalyptic titles. Available on: High School of the Dead is available for purchase on Amazon Japan or via Amazon Prime Video and Netflix. 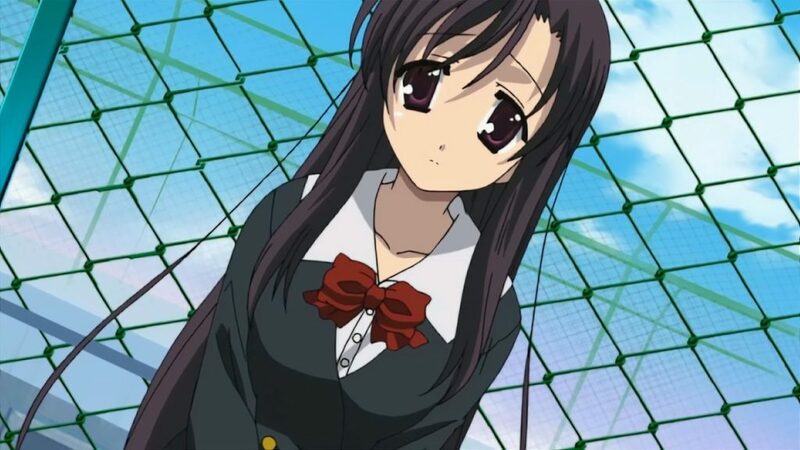 Another short anime series, School Days has only 12 episodes. Starting as a visual novel, its subsequent namesake game’s success led to an anime adaptation. Having watched anime for years, there is little I haven’t seen when it comes to the format’s tropes — especially in the realm of romance or romance-comedies. One day I decided to browse the romance list on an anime site and came upon School Days. Not wanting to spoil the show for myself, I began watching it without reading the synopsis. For the first 80 to 90 percent of the series, School Days presents itself as a typical light romance about a love triangle between high school boy Makoto Ito, his crush named Katsura and his best friend, Saionji. However, the end of School Days knocked me for a loop and, to my mind, provided one of the biggest twist endings in anime history. The brilliance of School Days lies in the way it tricks its audience with the front of a typical romance-comedy motif then turns a full 180 degrees and pulls of some of the most horrific scenes I’ve ever seen in anime. 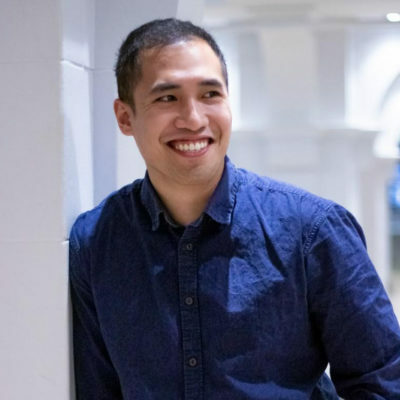 Good for: Those who enjoy romance stories and surprise twist endings. Available on: School Days is available for purchase on Amazon Japan or via Amazon Prime Video. 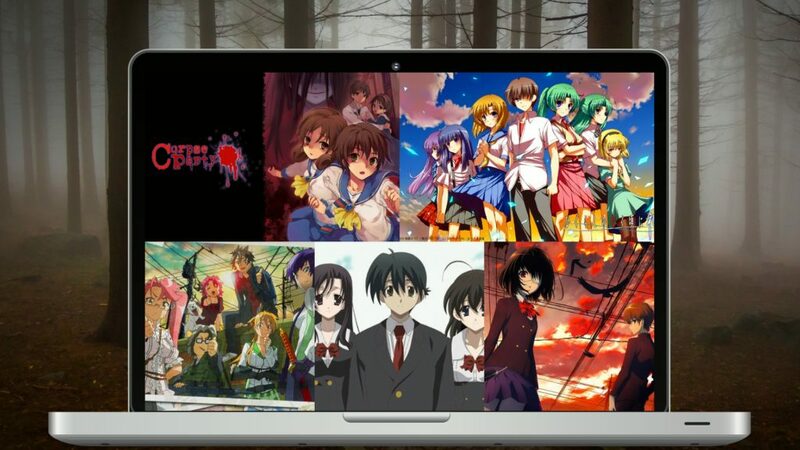 Did we miss your favorite horror anime? Let us and our readers know in the comments below. 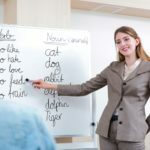 Every year, most English teachers in Japan face an uncertain time. Will they or won't they keep their job for another year? Today, we look at how to limit that uncertainty.